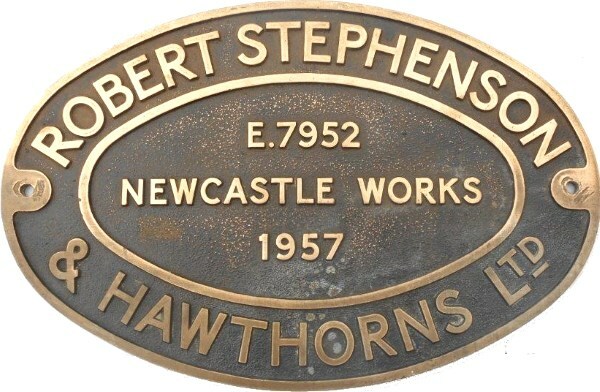 Lot 62 Brass Oval Steam locomotive Worksplate "ROBERT STEPHENSON & HAWTHORNS Ltd. NEWCASTLE WORKS No E.7952 - 1957". As carried by a 0-6-0ST. New to NCB at Choppington Colliery as No C18, Later Numbered 13 at Netterton Pit. Scrapped 5/69. Ex Loco condition.